From the slums, where purse-snatchers and courtesans work their respective trades, to the inner salons of the Louvre, where confessors, royal astrologers, musketeers, and court favorites mingle and scheme in hushed conversations, the position of King\'s Jeweler has suddenly become a lot more dangerous! Set in Paris, on the eve of the French Revolution, Queen\'s Necklace is a game of gem-selling, influence, and intrigue at the court. 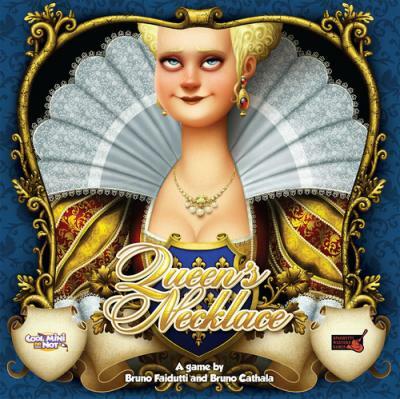 Two to four players compete in the role of royal jeweler to sell rare jewels to the Queen and her court.